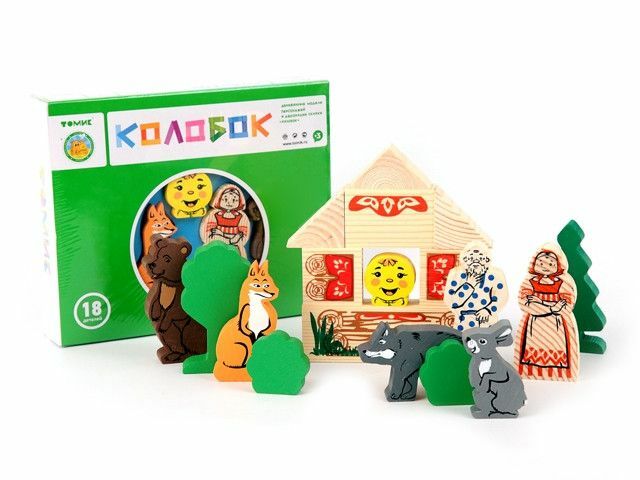 The toys are made from natural high-quality wood. Children play with these wooden set and they will be practicing hand-eye coordination, problem-solving, and small motor skills. The set perfect fits for little hands and kids will enjoy playing with it. 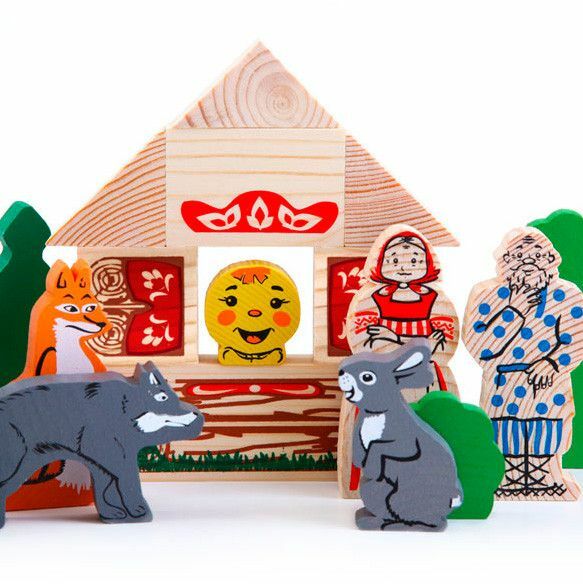 Wooden toy Little Round Bun is a perfect set with heroes from traditional Russian tale. Be ready to build and to play. The set includes also blocks for building house and trees. The set is suitable for children ages 2 and up.